Observation notes: Time: 10:26 a.m. Weather: Mostly sunny, with a few clouds on the horizon. Habitat: A mix of native and non-native flowers at the CSU Flower Gardens. 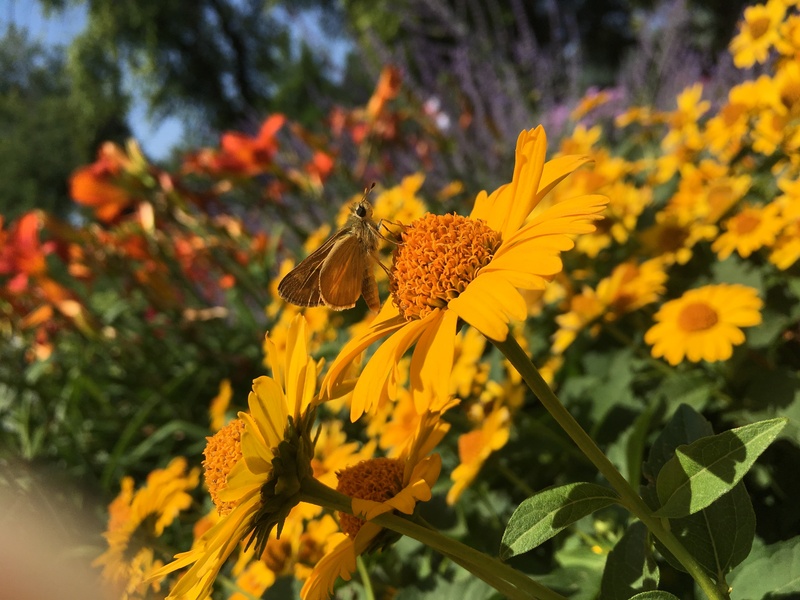 Notes: This skipper started out skittish, but eventually settled down on this flower to allow for a couple pictures. It just didn't feel like a Woodland Skipper while observing it, so I instead believe that it is a male Sachem. 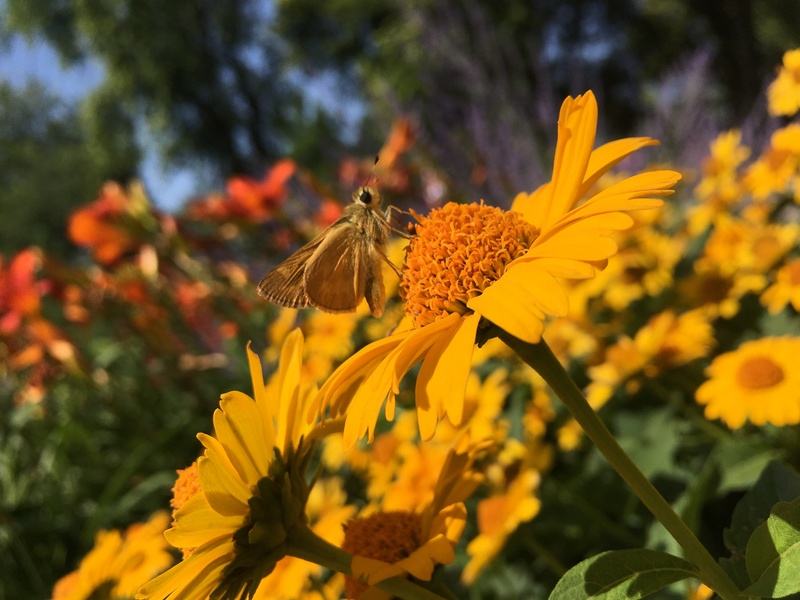 Coordinator notes: This is a Woodland Skipper. Sometimes they get into the parks and residential areas off the foothills. I had them in my backyard in Littleton nearly every summer (I use to live near the Highline Canal that came out from the foothills and went past my home going east). The Sachem male has a distinctive light patch on the underside of the hindwings, quite more apparent than the somewhat obscured spots on sylvanoides.